If you’re in the throes of wedding planning and still stumped about where to host your magical day – we might have just the option for you. 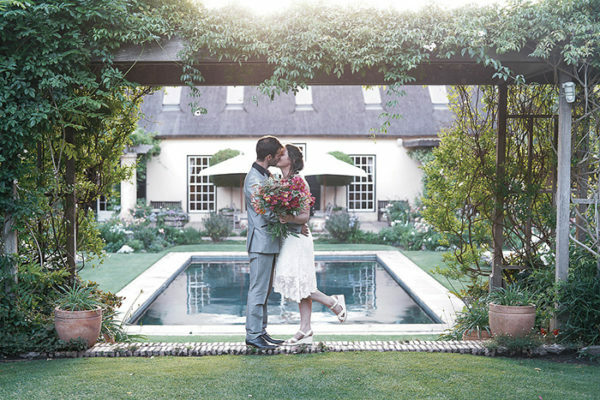 LA RIVE Villa, an exquisite Cape country manor tucked away in the heart of Franschhoek, is available for exclusive-use weddings for up to 100 guests. 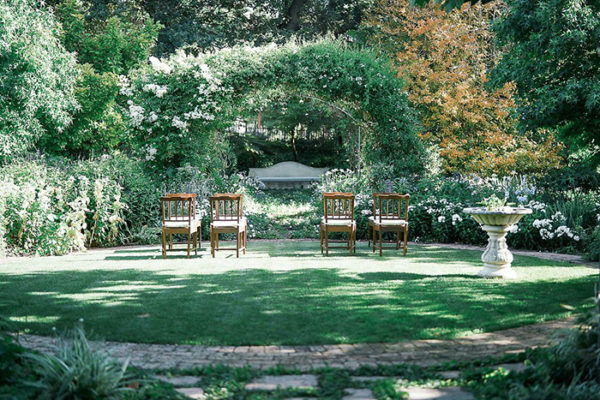 The stunning venue is set on 2,5 acres of land with panoramic mountain views, and boasts a spectacular private garden as an ideal setting for alfresco dining and entertainment, and exclusive fairy-tale weddings. The privately owned villa offers privacy and security, yet is located within walking distance of restaurants and other attractions. La Rive Villa not only lends itself to an elegant wedding reception, but also to other celebrations of love as the perfect venue to host engagement parties, kitchen teas, intimate pre-wedding lunches and family wedding rehearsal dinners. The villa is designed with elegant open-plan living areas that become glamorous event spaces, which lead to deep verandas and a covered terrace with several lounge and dining areas that are set around a central courtyard and magnificent swimming pool. Bespoke interiors are a marriage of colonial English and traditional Cape Dutch heritage within a contemporary colour palette showcasing collection pieces by artists from across the globe, and an alchemy of classic and artistic influences throughout the villa. The bridal party has exclusive use of the 12 sleeper villa with six luxurious suites with private bathrooms. The Manor House includes the spacious master bedroom suite for the bridal couple, as well as two loft rooms, one accommodating up to three guests which are ideal for children sharing. In addition, three private garden cottages are individually decorated to each offer a double bedroom with a patio. 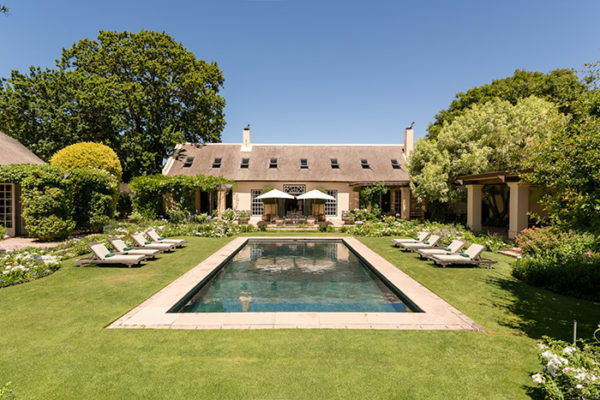 Serviced by a borehole, the beautifully landscaped garden is the sweet spot of this glamorous property; featuring rolling lawns, Koi Fish ponds, interesting water features and lush fairy-tale love corners. 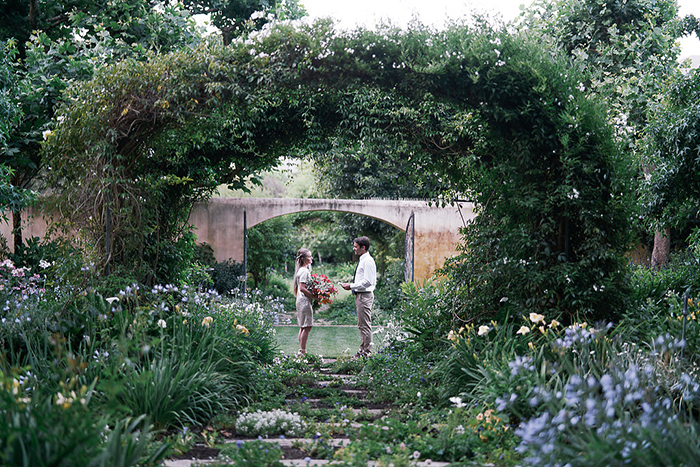 Ideal for a magical outdoor wedding ceremony and reception, the garden forms a backdrop of greenery and natural foliage to create an enchanting picture perfect frame. All La Rive Villa weddings and events are tailor-made and custom-designed according to guest specifications and the professional staff will go the extra mile to ensure a truly magnificent celebration.